Just before dinner, cook the pasta as directed. Spoon the shredded chicken and sauce over the cooked pasta. 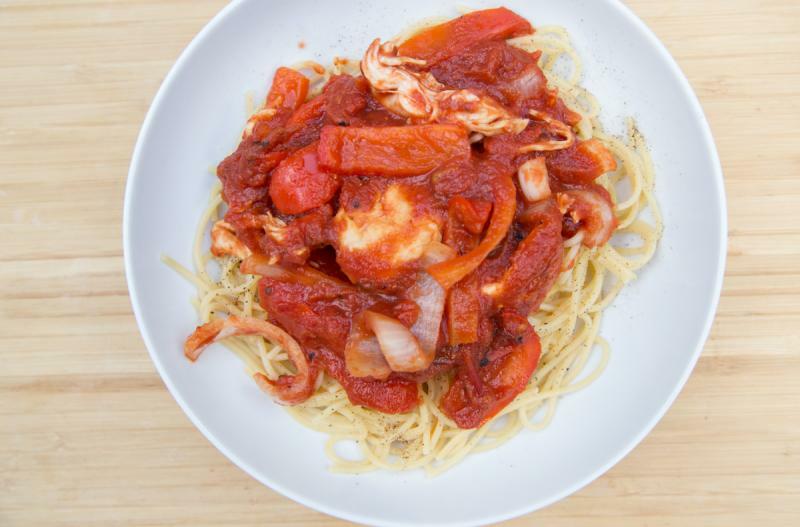 Serve Slow Cooker Red Pepper Chicken over pasta with salad. 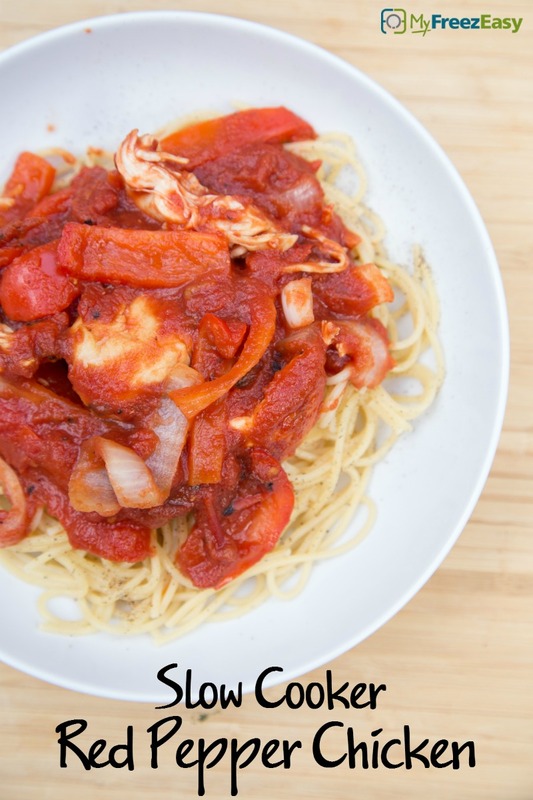 Recipe is gluten-free if you serve it over gluten-free pasta.